KIEV, Ukraine — A parliamentary hearing was convened here in March to consider an odd remnant of Ukraine’s corrupt, pre-revolutionary government. Three years ago, Ukraine filed an international legal challenge against Australia, over Australia’s right to enact antismoking laws on its own soil. To a number of lawmakers, the case seemed absurd, and they wanted to investigate why it was even being pursued. When it came time to defend the tobacco industry, a man named Taras Kachka spoke up. He argued that several “fantastic tobacco companies” had bought up Soviet-era factories and modernized them, and now they were exporting tobacco to many other countries. It was in Ukraine’s national interest, he said, to support investors in the country, even though they do not sell tobacco to Australia. Mr. Kachka was not a tobacco lobbyist or farmer or factory owner. He was the head of a Ukrainian affiliate of the U.S. Chamber of Commerce, America’s largest trade group. The U.S. Chamber’s work in support of the tobacco industry in recent years has emerged as a priority at the same time the industry has faced one of the most serious threats in its history. A global treaty, negotiated through the World Health Organization, mandates anti-smoking measures and also seeks to curb the influence of the tobacco industry in policy making. The treaty, which took effect in 2005, has been ratified by 179 countries; holdouts include Cuba, Haiti and the United States. Facing a wave of new legislation around the world, the tobacco lobby has turned for help to the U.S. Chamber of Commerce, with the weight of American business behind it. 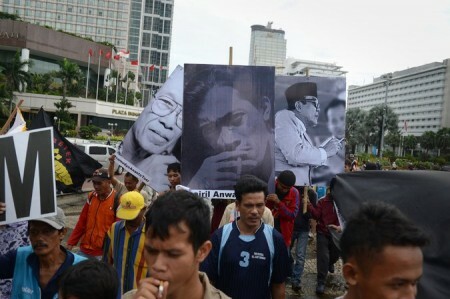 While the chamber’s global tobacco lobbying has been largely hidden from public view, its influence has been widely felt. Letters, emails and other documents from foreign governments, the chamber’s affiliates and antismoking groups, which were reviewed by The New York Times, show how the chamber has embraced the challenge, undertaking a three-pronged strategy in its global campaign to advance the interests of the tobacco industry. In the capitals of far-flung nations, the chamber lobbies alongside its foreign affiliates to beat back antismoking laws. In trade forums, the chamber pits countries against one another. The Ukrainian prime minister, Arseniy Yatsenyuk, recently revealed that his country’s case against Australia was prompted by a complaint from the U.S. Chamber. 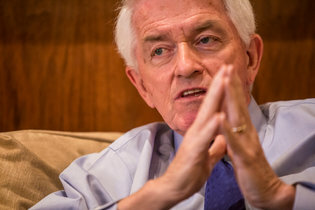 And in Washington, Thomas J. Donohue, the chief executive of the chamber, has personally taken part in lobbying to defend the ability of the tobacco industry to sue under future international treaties, notably the Trans-Pacific Partnership, a trade agreement being negotiated between the United States and several Pacific Rim nations. The increasing global advocacy highlights the chamber’s enduring ties to the tobacco industry, which in years past centered on American regulation of cigarettes. A top executive at the tobacco giant Altria Group serves on the chamber’s board. 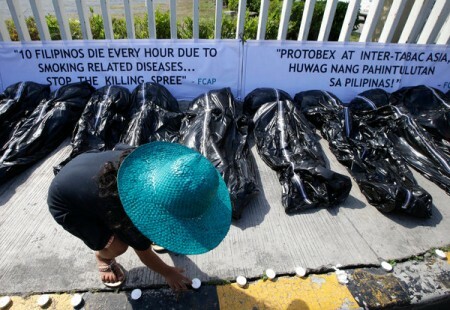 Philip Morris International plays a leading role in the global campaign; one executive drafted a position paper used by a chamber affiliate in Brussels, while another accompanied a chamber executive to a meeting with the Philippine ambassador in Washington to lobby against a cigarette-tax increase. The cigarette makers’ payments to the chamber are not disclosed. It is not clear how the chamber’s campaign reflects the interests of its broader membership, which includes technology companies like Google, pharmaceutical giants like Pfizer and health insurers like Anthem. And the chamber’s record in its tobacco fight is mixed, often leaving American business as the face of a losing cause, pushing a well-known toxin on poor populations whose leaders are determined to curb smoking. The chamber declined to say if it supported any measures to curb smoking. The chamber, a private nonprofit that has more than three million members and annual revenue of $165 million, spends more on lobbying than any other interest group in America. For decades, it has taken positions aimed at bolstering its members’ fortunes. While the chamber has local outposts across the United States, it also has more than 100 affiliates around the world. Foreign branches pay dues and typically hew to the U.S. Chamber’s strategy, often advancing it on the ground. Members include both American and foreign businesses, a symbiotic relationship that magnifies the chamber’s clout. For foreign companies, membership comes with “access to the U.S. Embassy” according to the Cambodian branch, and entree to “the U.S. government,” according to the Azerbaijan branch. Members in Hanoi get an invitation to an annual trip to “lobby Congress and the administration” in Washington. Since Mr. Donohue took over in 1997, he has steered the chamber into positions that have alienated some members. In 2009, the chamber threatened to sue if the Environmental Protection Agency regulated greenhouse gas emissions, disputing its authority to act on climate change. That led Nike to step down from the chamber’s board, and to Apple’s departure from the group. In 2013, the American arm of the Swedish construction giant Skanska resigned, protesting the chamber’s support for what Skanska called a “chemical industry-led initiative” to lobby against green building codes. The chamber’s tobacco lobbying has led to confusion for many countries, Dr. da Costa e Silva said, adding “there is a misconception that the American chamber of commerce represents the government of the U.S.” In some places like Estonia, the lines are blurred. The United States ambassador there, Jeffrey Levine, serves as honorary president of the chamber’s local affiliate; the affiliate quoted Philip Morris in a publication outlining its priorities. In Ukraine, the chamber’s involvement was no surprise to Hanna Hopko, the lawmaker who led the hearing in Parliament. She said the chamber there had fought against antismoking laws for years. More than 3,000 miles away, in Nepal, the health ministry proposed a law last year to increase the size of graphic warning labels from covering three-fourths of a cigarette pack to 90 percent. Countries like Nepal that have ratified the W.H.O. treaty are supposed to take steps to make cigarette packs less appealing. While Nepal eventually mandated the change in warning labels, cigarette companies filed for an extension and compliance has stalled. “Since we have to focus on responding to the devastating earthquake, we have not been able to monitor the state of law enforcement effectively,” said Shanta Bahadur Shrestha, a senior health ministry official. Then the letters mention a matter “of concern.” In Jamaica and Nepal, it was graphic health warnings on packages. In Uruguay, it was a plan to bar cigarettes from being displayed by retailers. The Moldovan president was warned against “extreme measures” in his country, though they included common steps like restricting smoking in public places and banning advertising where cigarettes are sold. A proposal to raise cigarette taxes in the Philippines would open the floodgates to smugglers, the government there was told. Tax revenue has increased since the proposal became law. On the ground, the chamber’s local affiliates use hands-on tactics. After Moldova’s health ministry proposed measures in 2013, Serghei Toncu, the head of the American Chamber of Commerce in Moldova, laid out his objections in a series of meetings held by a regulatory review panel. “You do not respect us,” he told the health ministry at another. His objections were not merely plaintive cries. The American chamber has a seat on Moldova’s regulatory review panel giving it direct influence over policy making in the small country. After recently passing in Parliament, the long-stalled measures were subject to fresh objections from the chamber and others, and have not yet been enacted. In Washington, the U.S. Chamber’s tobacco lobbying has been visible in the negotiations over the Trans-Pacific Partnership, a priority of the Obama administration that recently received critical backing in Congress. Email traffic shows that Mr. Donohue, the chamber’s head, sought to raise the issue in 2012 directly with Ron Kirk, who was then the United States trade representative. In email exchanges between staff members of the two, Mr. Donohue specifically sought to discuss the role of tobacco in the trade agreement. “Tom had a couple of things to raise, including urging that the tobacco text not be submitted at this round,” one of Mr. Donohue’s staff members wrote to Mr. Kirk’s staff. The emails were produced in response to a Freedom of Information request filed by the Campaign for Tobacco-Free Kids, which provided them to The Times. Mr. Kirk is now a senior lawyer at Gibson, Dunn, a firm that counts the tobacco industry as a client. He said in an interview that during his tenure as trade representative, he met periodically with Mr. Donohue but could not recall a specific conversation on tobacco. The chamber declined to make Mr. Donohue available for an interview. In Ukraine, it was Valeriy Pyatnytskiy who signed off on the complaint against Australia in 2012, which was filed with the World Trade Organization. At the time, he was Ukraine’s chief negotiator to the W.T.O. His political career has survived the revolution and he is now an adviser to the Ukrainian prime minister, Mr. Yatsenyuk. In a recent interview, he said that for Ukraine, the case was a matter of principle. It was about respecting the rules. He offered a hypothetical: If Ukraine allowed Australia to use plain packaging on cigarettes, what would stop Ukraine from introducing plain packaging for wine? Then Ukrainian winemakers could better compete with French wines, because they would all be in plain bags marked red or white. Some Ukrainian officials have long been troubled by the case. Last year, he urged the American Chamber in Kiev to reconsider. “I wrote a formal letter, asking them, ‘Do you still keep the same position?’ ” Mr. Sheremeta said. 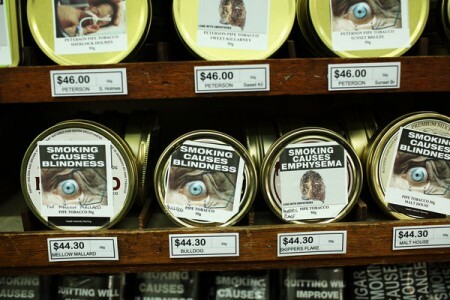 “Basically I was suggesting a face-saving way out of this.” But when he met with chamber officials, the plain packaging case was outlined as a top priority. They refused to back down. After Mr. Pyatnytskiy, a tobacco ally, was installed as his deputy, Mr. Sheremeta resigned. “The world was laughing at us,” he said of the case. Shortly after The Times discussed the case with Ukrainian government officials, there were new protests from activists. Mr. Yatsenyuk called for a review of the matter. Ukraine has since suspended its involvement, but other countries including Cuba and Honduras are continuing to pursue the case against Australia.